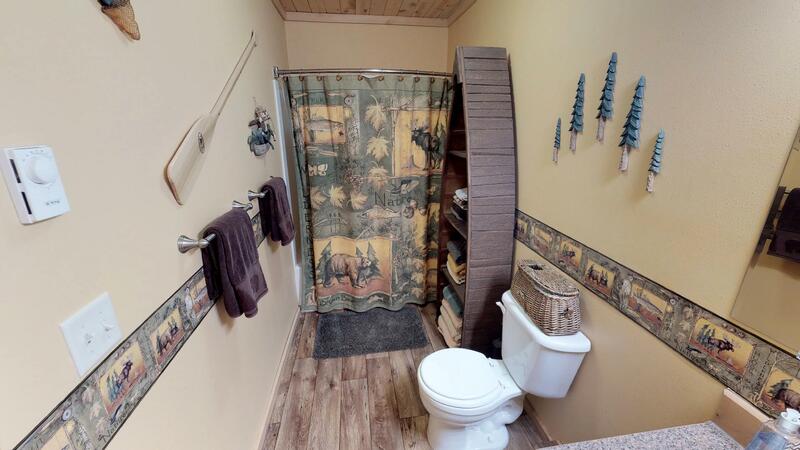 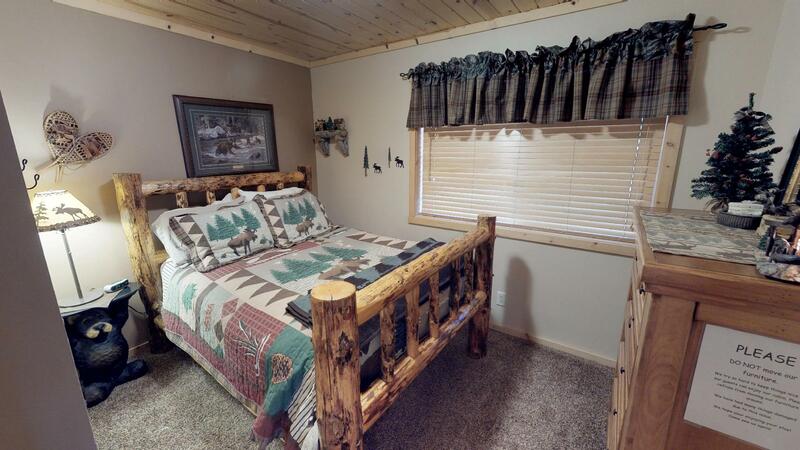 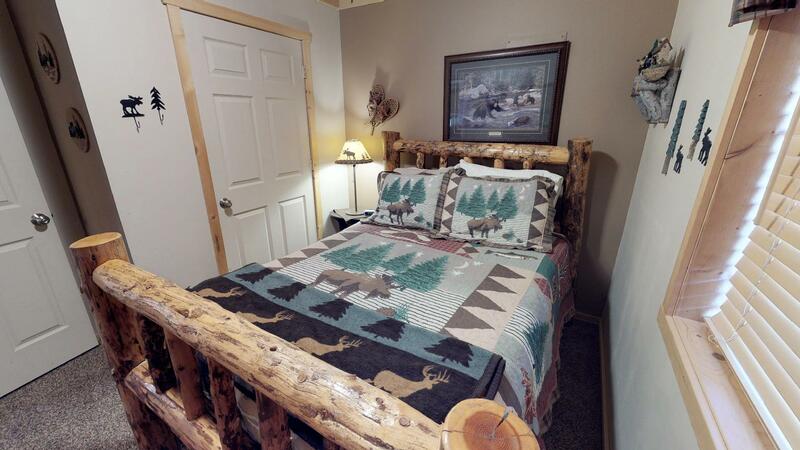 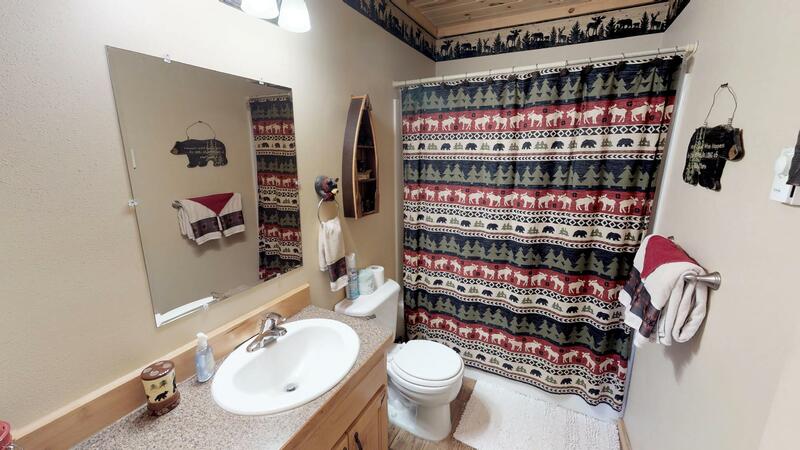 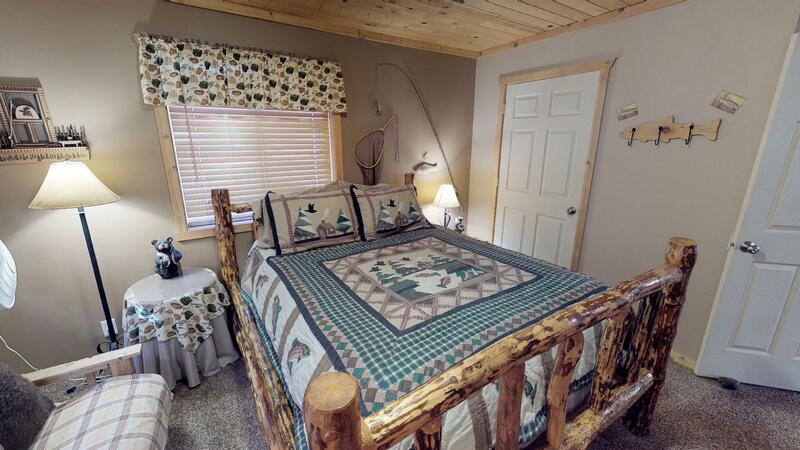 Pine Cone Inn is a charming three bedroom cabin located in the oldest subdivision of Island Park called Yale Creek. 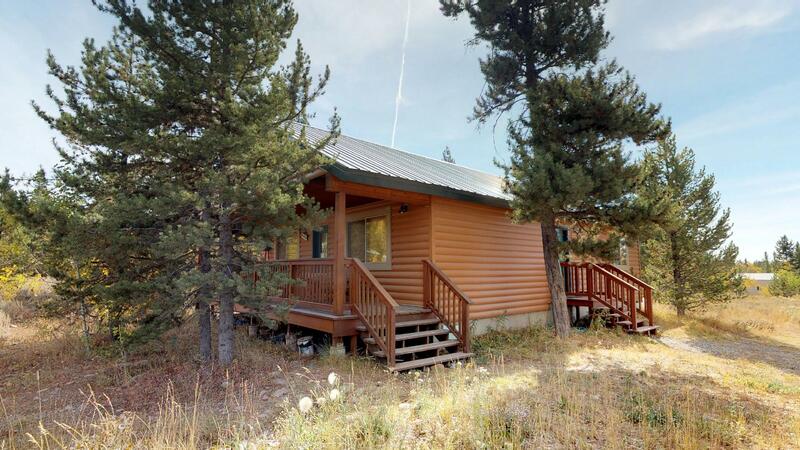 This lot has views of the forest and mountains in the back drop. 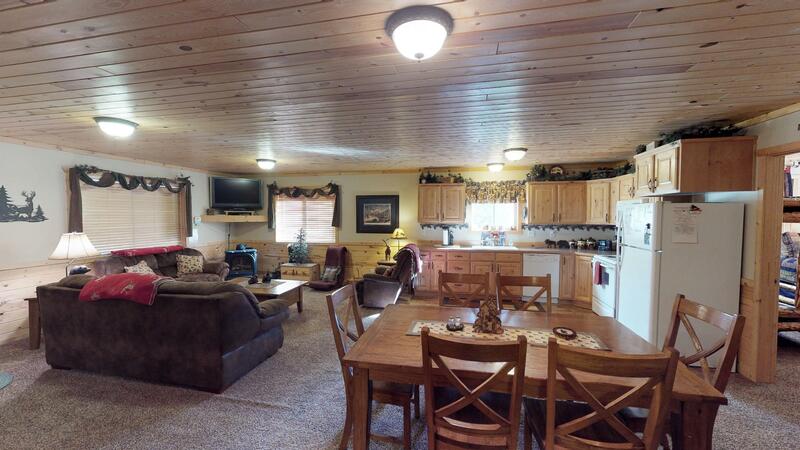 This property is great for the smaller and adventurous group. 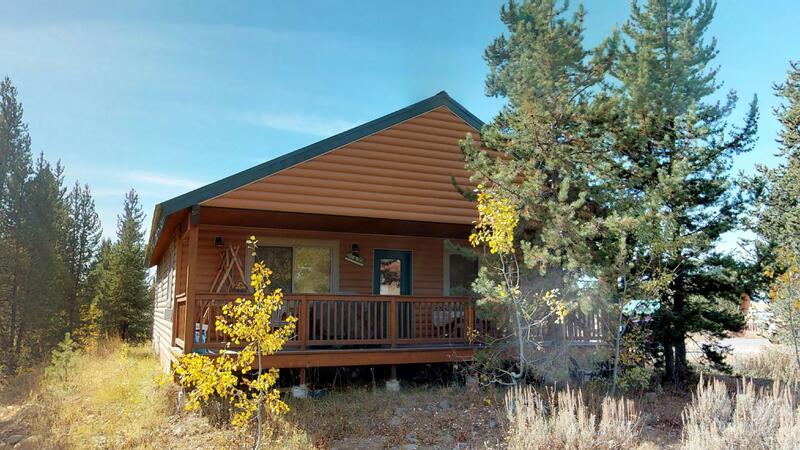 This cabin is all on one level and walking into the home you'll be invited by a cozy and comfortable living room with satellite TV. 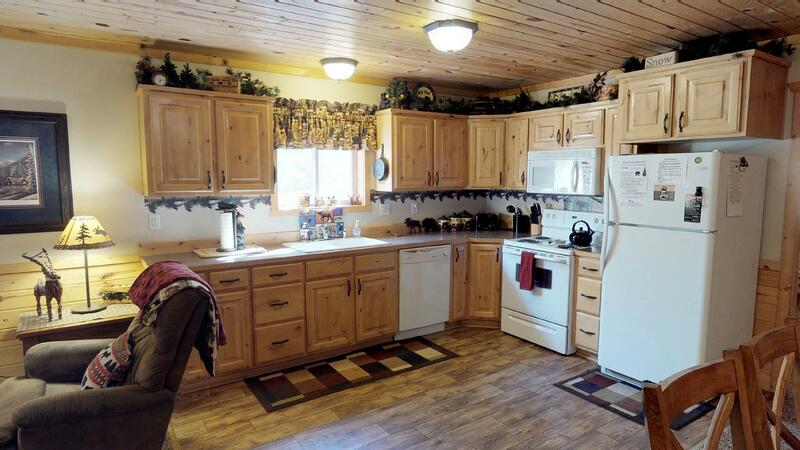 The fully equipped kitchen is open to the living and dining area. 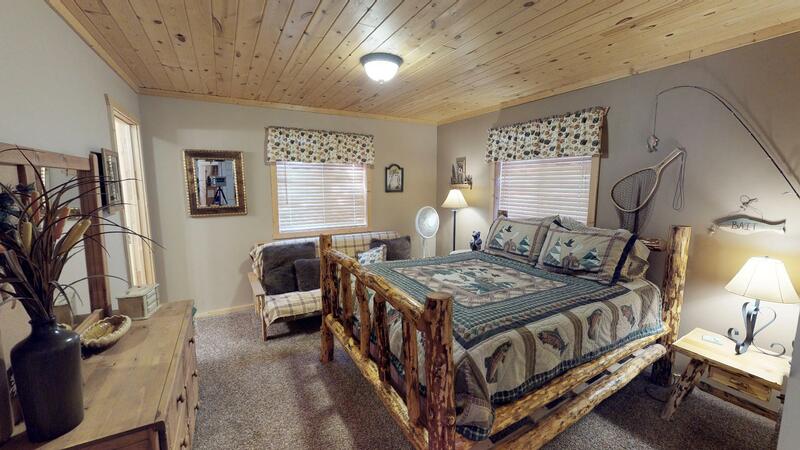 The master bedroom has a king bed, an extra futon and a private bathroom. 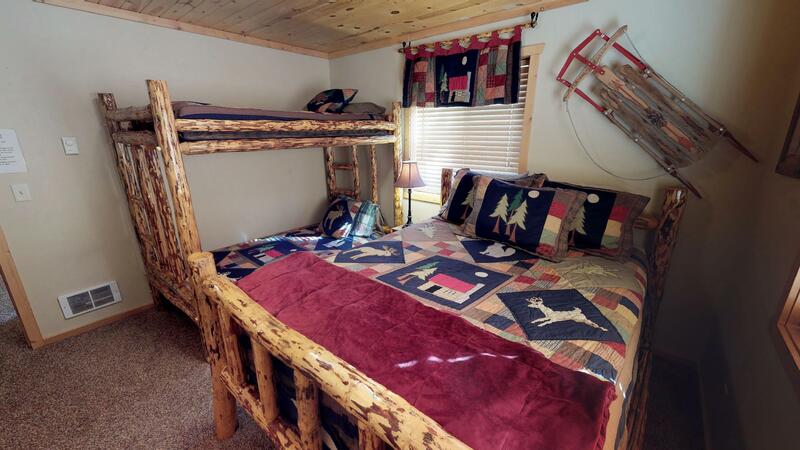 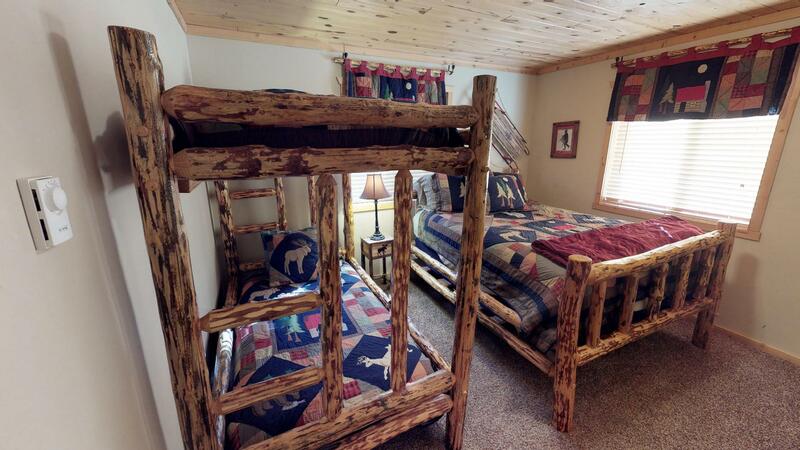 The second room has a single queen bed and the final third bed has a queen and a bunk bed. 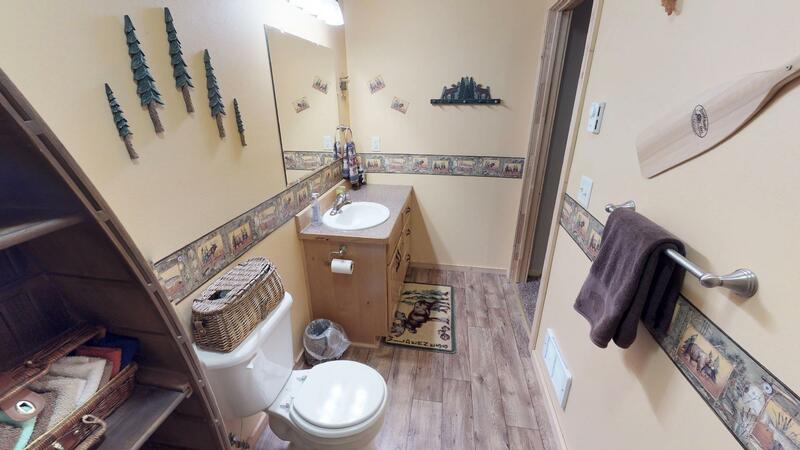 There's also a shared bathroom just off of the living room next to the second room with a queen bed. 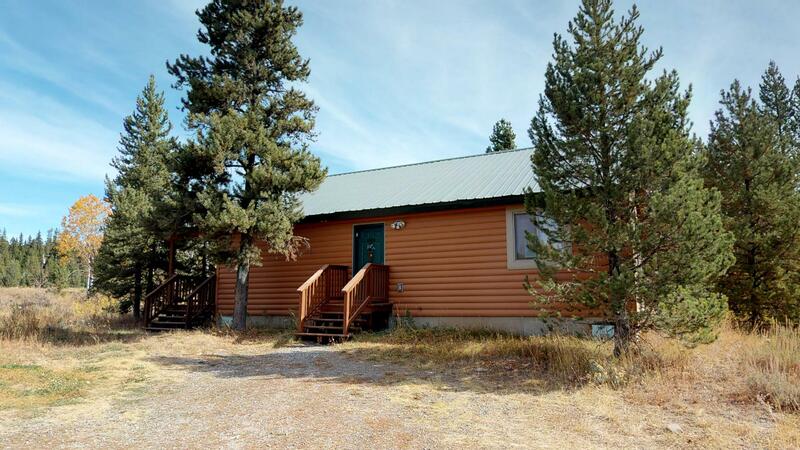 Pine Cone is only about 35 minutes to the West entrance of Yellowstone or a quick 10 minute drive to the Island Park Reservoir. 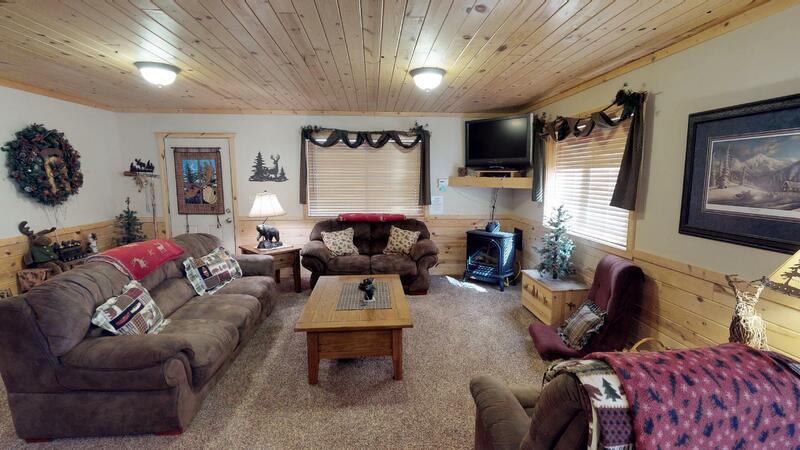 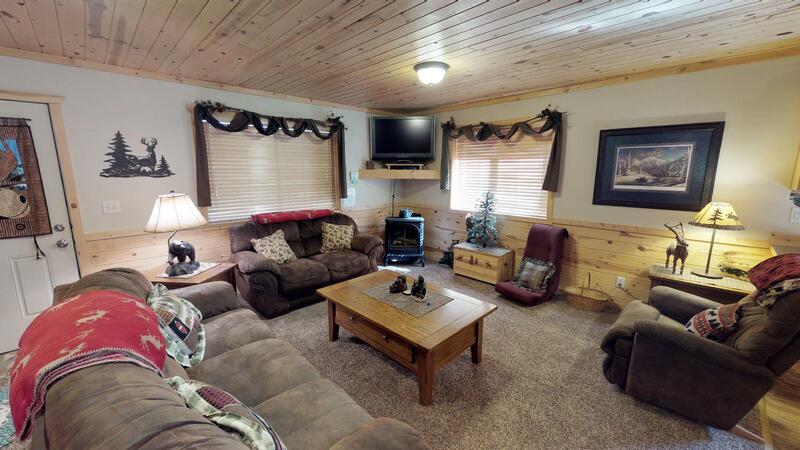 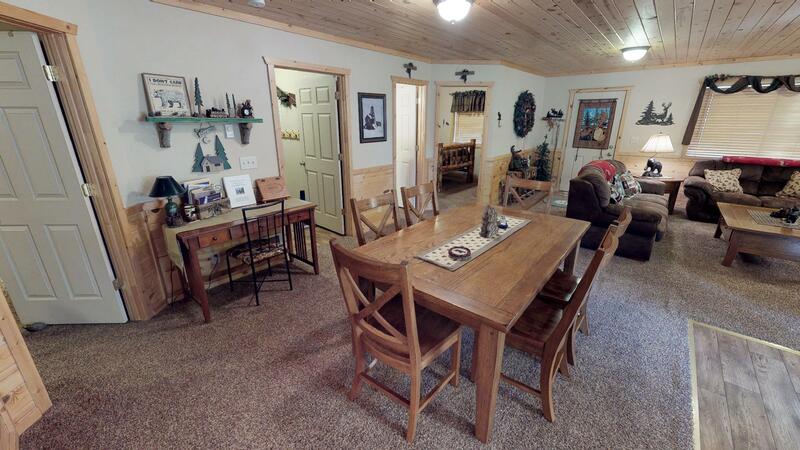 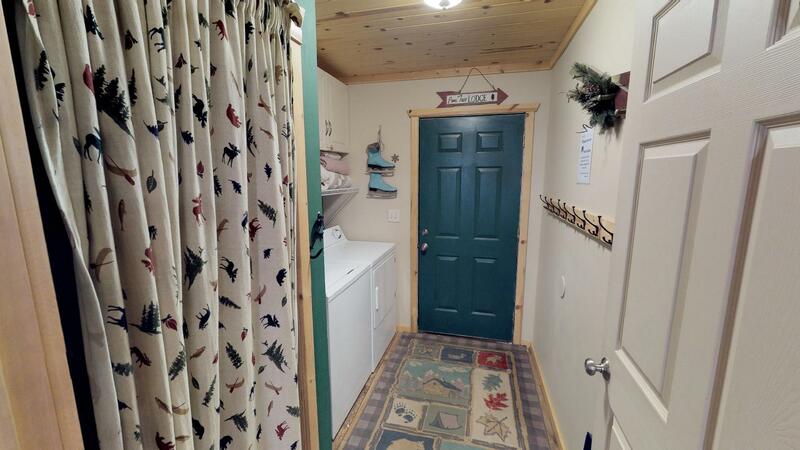 Where ever your destination may be, our cabin is a perfect home for your vacation! 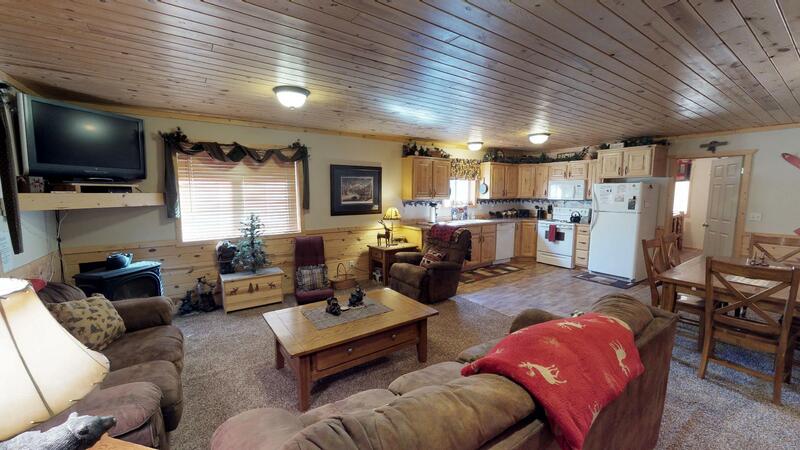 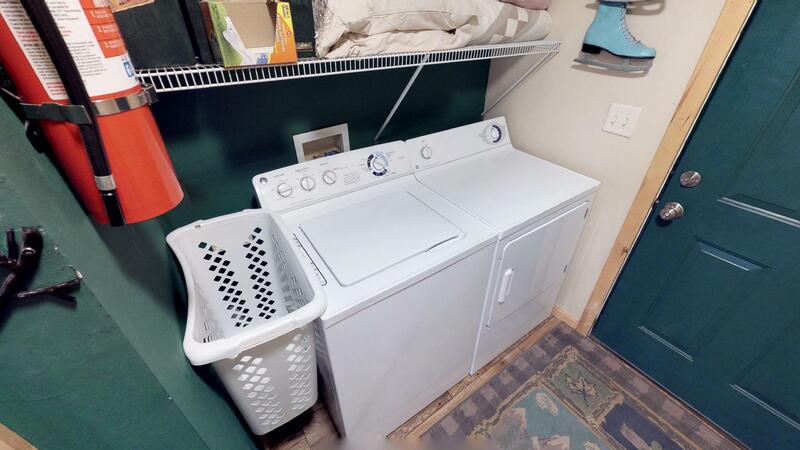 *Fully stocked kitchen, comfortable living room, Satellite TV with DVD player.